As a child, I grew up on Elvis music and my family knew a guy who wanted to be an Elvis impersonator. When he came over to visit, he would sing for us and even made up his own songs; so when Elvis died, our family were in mourning. 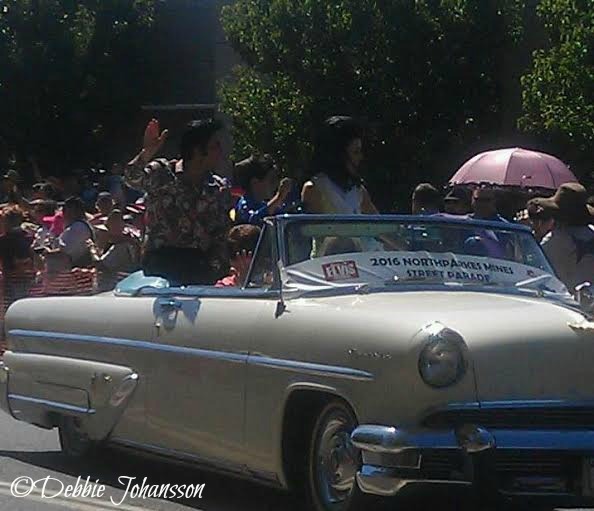 On a whim, for the start of 2016, my family and I made our first visit to the Parkes Elvis Festival. 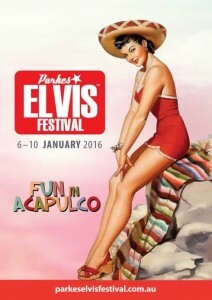 It has been held every year since it began back in 1993, and coincides with Elvis’s birthday on 8 January. This is in the middle of summer here in Australia, which is why I have been putting it off for so long even though I don’t live that far away. Every year has a different theme and this year was ‘Fun in Acapulco’. With so much to see, this year we only took in the markets and the street parade. 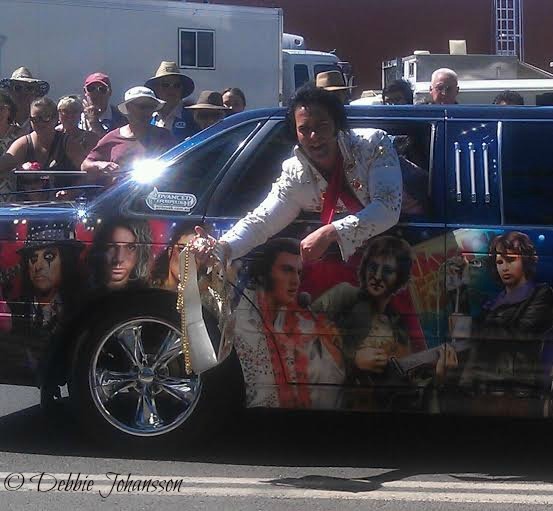 American Elvis tribute artist Donny Edwards was there with this years Miss Priscilla. 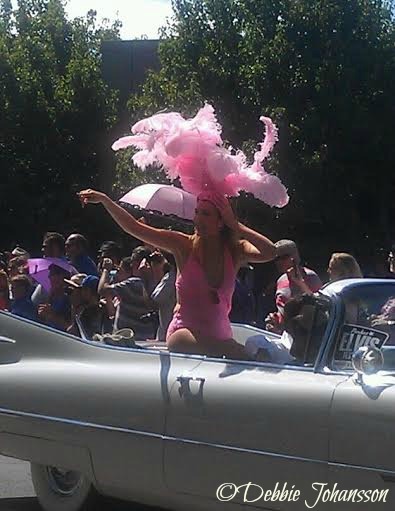 There was also a Las Vegas Showgirl. New Zealand Elvis impersonator Brendon Chase, believed to be one of the best in the business was also there in a rather impressive looking limo. 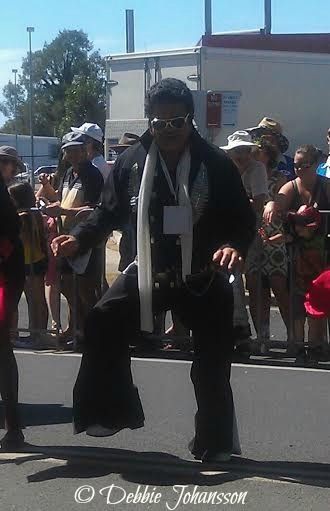 One of the highlights of the street parade was this Kiwi Elvis doing the haka. 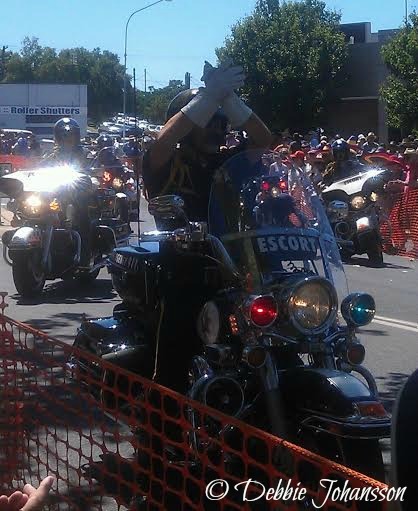 Even the law was getting in on the act. The festival was a lot of fun and it certainly managed to freak my kids out! And just for the record, no I did not see the Elvis impersonator I knew during my childhood. But, I’m sure I’ll be going back again. It’s well worth a visit. Are you an Elvis fan? Have you seen an Elvis tribute artist? 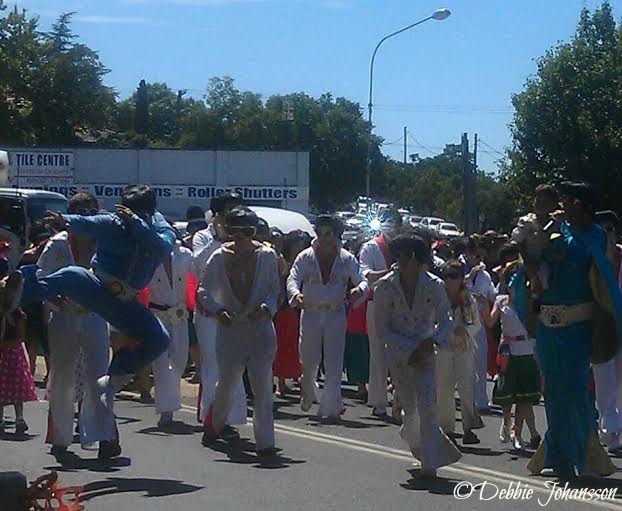 Have you visited Parkes for the Elvis Festival or visited Graceland? What have you been doing to kick off 2016? Previous Post Writing in Isolation. Next Post Back to the 80s: G is for Goanna.